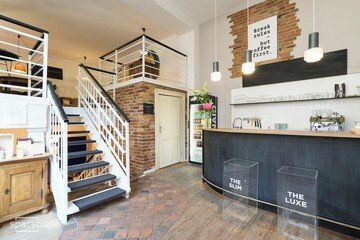 This modern working or event space unifies the advantages of a flexible space with a relaxed ex-coffee house atmosphere. Perfect conditions for free minded people to develop clean and smart solutions for their businesses or to invite guests for a daily event, conference or pop up. 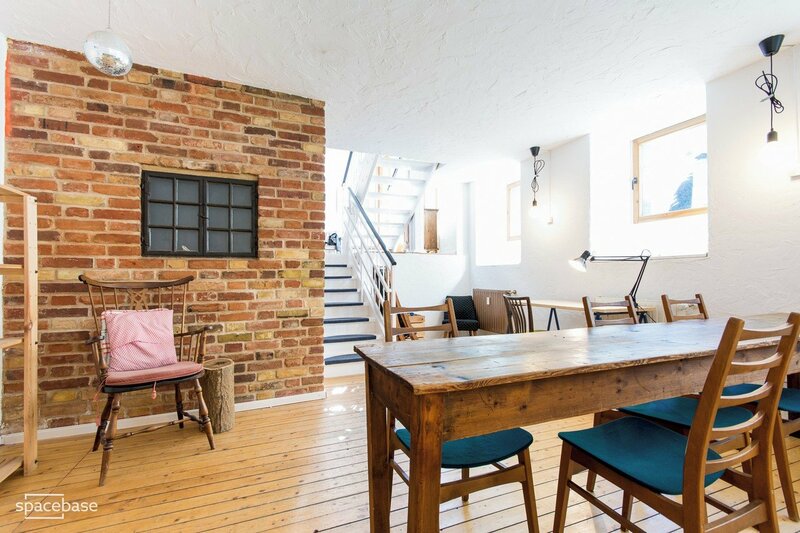 This flexible workshop location has a coffee shop feel with 3 main rooms across 3 staggered floors (these areas cannot be rented individually, only the whole space can be hired together). The versatile layout makes the space perfect for break-out sessions with private corners ideal for group work. You will find an innovative surrounding with professional working assets and cozy corners for relaxing moments. 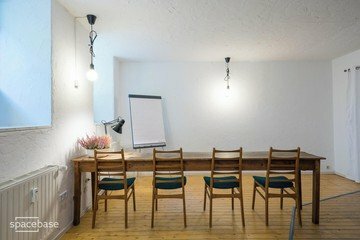 Book the whole space for your international team meeting, bootcamp, fotoshoot, hackathon, pop up, daily party etc..
At least one of the most cozy spaces in Berlin. 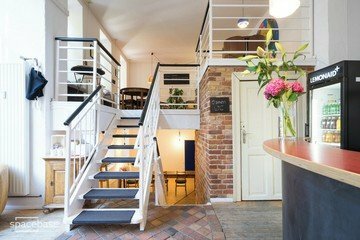 It´s placed very central in Berlin-Mitte close to a few tram and tube stations. Bars and restaurants are near by. Please be aware that evening events can only run until 22:00 (out by 22:30) so's not to disturb our neighbours. Catering for lunch is available (ask the host about the possibilities). We had a great workshop time at Guice Creative Space! A lot of equipment was provided in addition to what we needed and we could arrange the furniture in a way to allow for a great workshop experience. The host was very helpful and friendly. We had all we needed and would definitively recomment the space for future workshops. Wir danken für die hilfreiche Unterstützung durch Spacebase und die Locationinhaberin! 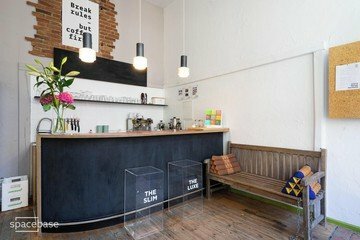 Wir empfehlen die einzigartige und praktische Location weiter! 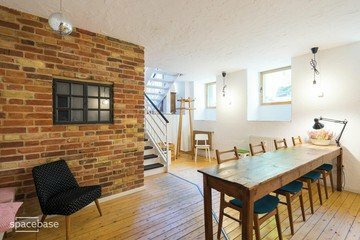 Ganz toller Raum und ganz tolle Betreuung vorOrt. Sehr flexibel und zuvorkommend. Ich kann nur positives Feedback geben! Die Location ist klasse und es hat alles super geklappt. Die Vermieter sind sehr nett und flexibel, wir durften sogar unser Equipment am Abend vorher bereits in die Location bringen. Nur die Höhe der Tische und Stühle war nicht optimal, um den ganzen Tag lang am Laptop zu programmieren.